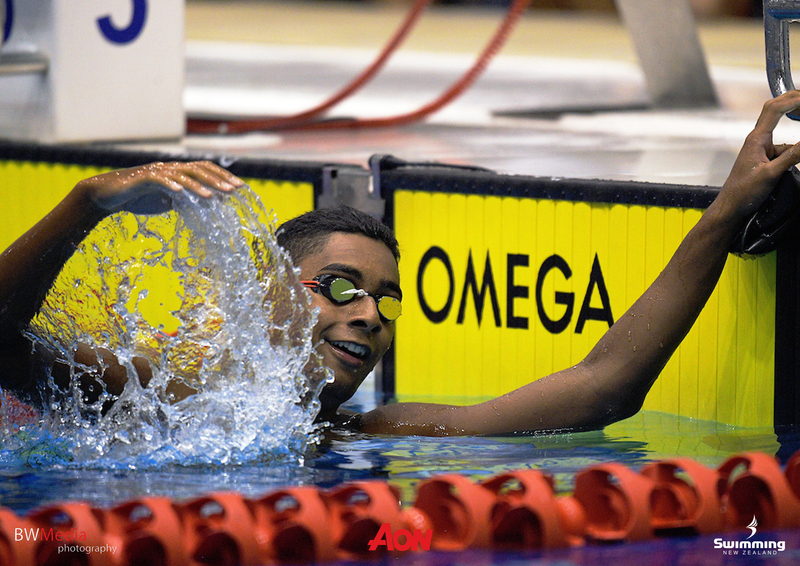 Swimming New Zealand would like to acknowledge the national age-group record set by Tyron Henry in the 16-years 100m freestyle with a time of 51.29s. Henry, 16, set the record as the lead off swimmer for his Howick Pakuranga club in the 16-years and over 4x100m freestyle club relay alongside team mates Adrian Chong, Ben Masters and Thomas Hughson. The previous record of 51.73s was jointly held by Orinoco Fa'amausili-Banse (2007) and Corey Main (2011). Swimming New Zealand would like to apologise for not recognising the record alongside Lewis Clareburt and Bre Crawford in the daily wrap of events for day 3.